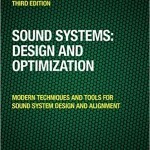 On November 20th and 21st I went to LDI and conducted seminars on (guess what) sound system design and optimization. These were part of a Cirque du Soleil sponsored education program and each session was 2 hours. I find it difficult to cram that subject into a 32 hour seminar so compressing it down to 2 is just too much fun. Nonetheless we did have two good sessions – the best was the second one where I was joined by Paul Garrity, Matt Ezold (both from Aurbach and Associates) and Bob Barbagallo from Solotech. All of us have been involved in a large number of the Cirque productions such as the Beatles, Zumanity, Zaia and others. This gave us an opportunity to share our perpectives on how these projects come together. Paul and Matt described their role in translating the artistic vision into a stage, flyspace, lifts and a room while Bob B described the process of taking the macro version down to the minute details of wire terminations etc. I described my role in taking the hundreds of speakers and making them work together to create even coverage over the space. It was an informative day for me, getting a chance to sit back and see what goes on before I am ever brought in to the picture.